A First for Everything : If you gotta do it....have fun doing it! Yup, this quote just about sums it up! On the daily, ever growing "to do" list my lesson plans get put off and put off until I just can't put it off another day. That is because they take me FOREVER. Ok well..... not forever, but pretty darn close. I'd say they take me about 2 hours. I put a lot of time and thought into what I plan. Therefore, when scrolling through Instagram one day (because I'm an Instagram addict! 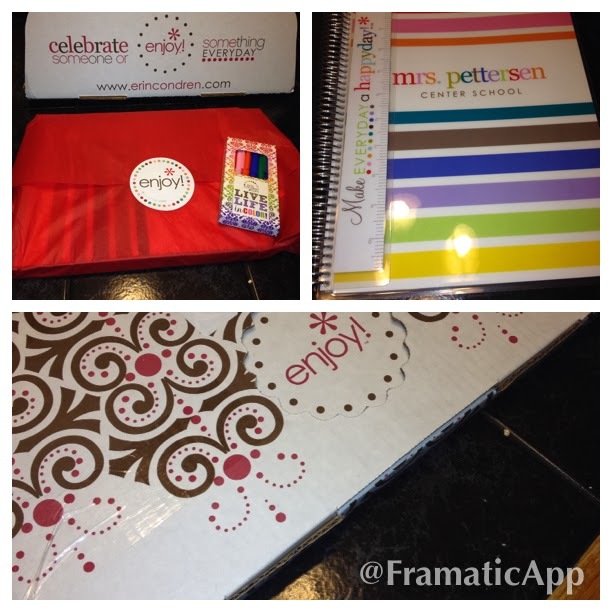 ), I practically fell off the couch when I saw the Erin Condren lesson planner. I hemmed and hawed for about a week over it, checking it on the Erin Condren website, and dropping subtle hints to my hubby that I had to have this! My husband is a very practical type of guy so I had to pitch my plea sale well. 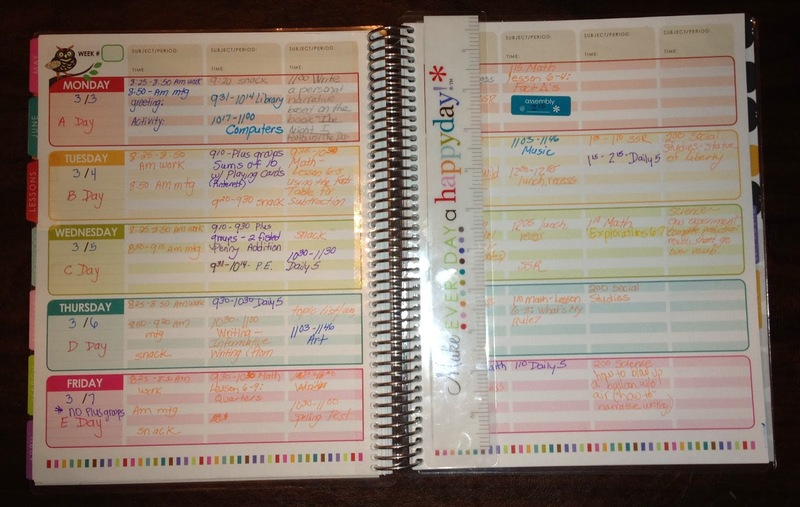 On Valentine's Day he gave the go ahead to order the planner. Let me tell ya'll: I stalked the FedEx guy for a week and a half. It was worth the wait. First of all, could the package be any cuter?! I'm obsessed with cute organizational products. I just about slept with this lesson planner on my beside table. Ok....I did. 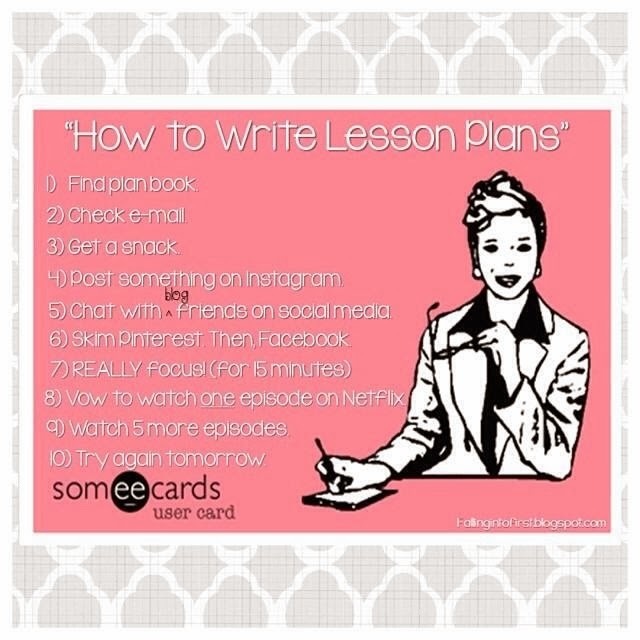 It's not just a lesson planner. It has monthly calendars with plenty of room for writing on the dates, it has beautiful pages to take notes after each month, a "year in review" of important dates and a "year in preview" for me to record tidbits of the year ahead. It has pockets for organizing papers, page protectors for important papers, checklists with foldable pages so I don't have to write my 20 kiddos names multiple times, and more. I love the tabs for quick reference. I swear I don't work for Erin Condren. I'm just in love with this planner. I actually enjoy writing my lesson plans now (well...sorta). I even have cute pens that came with the planner. I will admit is was a heftier purchase but it was worth every penny. I've certainly spent $50 on stupider things. Ummm...don't tell my husband that, ok?